I'm a Computer Science PhD student at Georgetown University and an ARCS Endowed Fellow. I am a member of the IR Lab where I work on information retrieval, information extraction, and natural language processing. My academic advisors are Nazli Goharian and Ophir Frieder. Check out what I'm up to now! I had three papers accepted at SIGIR 2019! I was awarded the MWC ARCS Endowment Fellowship for 2019-20. 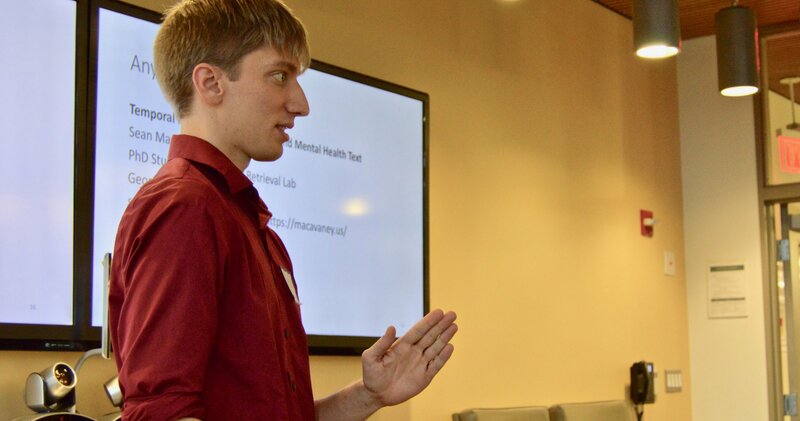 I presented at the Workshop on Computing for Physical and Mental Health. Our SMHD poster won first place at the 2018 ICBI Symposium.